Remember when Google Translate made Internet communication so much easier? 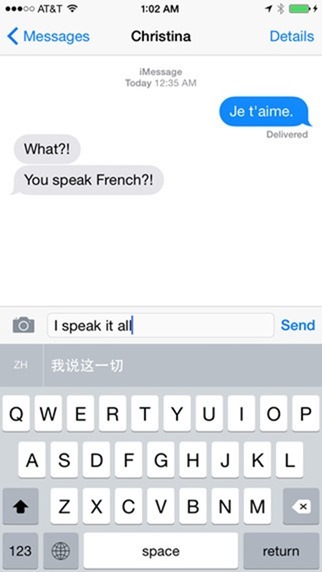 Well the new ‘Slated – Translation Keyboard’ for iOS 8 / 8.1 is breaking down the language barrier in real time, allowing users to post translated messages without additional legwork. 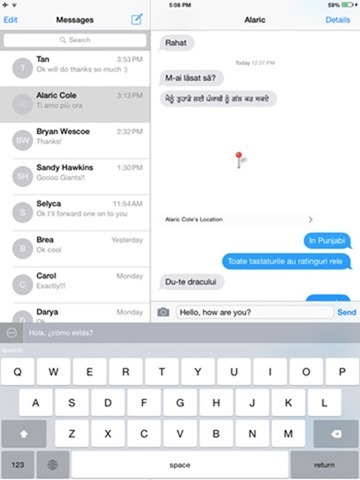 Earlier, translating messages to be sent and those that were received involved a lot of copy pasting moves, but Slated lets you input text in your native language, translating it in real-time as you tap through on that on-screen keyboard. All you need to do is tap the translated text, and hit the Send button just as you would with the stock iOS 8 / 8.1 keyboard. Speaking of stock keyboard, this third-party keyboard app from Gist looks, and for some part even acts, like the stock iOS 8 / 8.1 one. However it misses the autocorrect and suggestion features found on the stock keyboard, which could in reality save users from the trouble of adjusting their carefully chosen words. As you type, Slated begins analyzing your inputs, showing the translated text below the entry as you tap away. This real-time translation can actually help aid in learning a particular language as well if you plan on using that on the keyboard more frequently, and it shouldn’t be long before you begin picking up on words or even sentences. That’s not all, since a conversation is a two way stream, the Slated team needed to address the issue of translating incoming messages as well, which it did, and which consumers should find pretty easy and quick to handle. Simply long-press an incoming message and hit Copy, the translated result should appear in the same translation bar below the text input entry field. Changing the language of translation is pretty nifty as well. Just tap the ‘…’ button anytime on the keyboard to change the language right there without having to go through any settings menu. Slated currently supports up to 80 different languages and according to the creators, works well with SMS, iMessage, WeChat, KakaoTalk, Kik, WhatsApp, Line, Facebook Messenger, Viber, Skype and more. Slated is currently on sale for $2.99 on the App Store – part of a launch special offer, and will later go back to its regular price of $4.99. 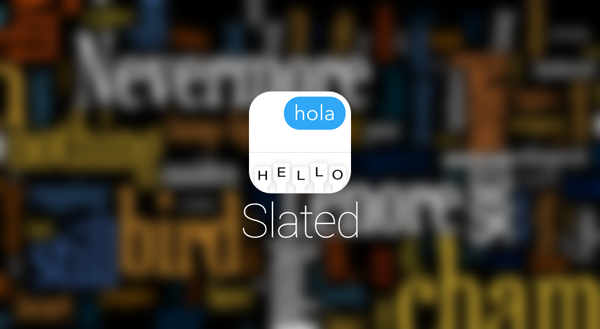 Have you used Slated yet, or any other translation keyboard on your iOS device? Let us know which one and what your experience was. You can’t even get a Latte, a pack of cigarettes, or a movie ticket for that price and those are consumed and moved to waste far faster. Here, instead, you get to enhance a mobile devile you use daily AND enjoy updates to the application through at least three device versions. Most of the app developers even try to bring out new versions to accommodate integration with social media and productivity tools.